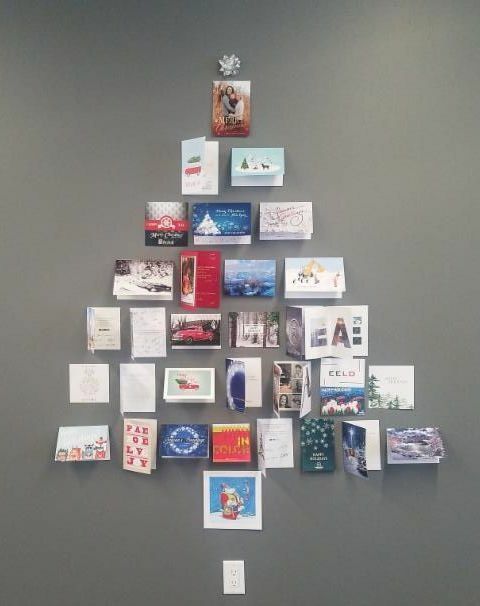 As we wrapped up 2018, the annual “Christmas Card Tree” display comprised of cards and holiday wishes from our friends and colleagues added an extra dose of cheer to the office. 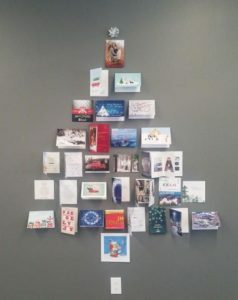 We are grateful for everyone who played a part in 2018 and as we move forward through 2019, we hope each of you have a happy and successful year. 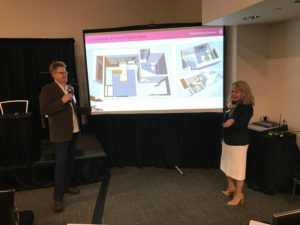 Nathan enjoyed taking the stage with Laura Adams from the University of Utah Health Sciences Hospital to share the Orthopaedic Nursing Unit of Tomorrow and Transcending the Barriers to the Optimal Patient Room at the Healthcare Design Expo and Conference and Healthcare Facilities Symposium and Expo this past fall. We are grateful to have had the opportunity to share a project and a process that we are both so passionate about. 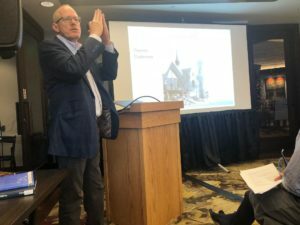 In December, Tracy lectured at the Park Meadows Country Club as part of the Utah History Lecture Series sponsored by the Park City Library and Rebecca Champion. The topic of his lecture was the history and architecture of the beautiful Cathedral of the Madeleine located right here in Salt Lake City. The most recent phase of the VAMC Prosthetics and Rehab project is well under way and it’s been exciting to watch the steel and glass go up. This second level was built over an existing building and features “eyebrows” that are feats of engineering. The elegant silhouette sets this building apart from the current trends, showcasing an abundance of glass and a visually appealing soffit. 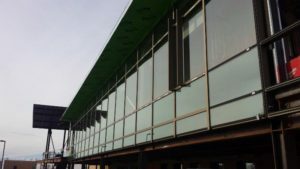 The project is estimated to complete in May. 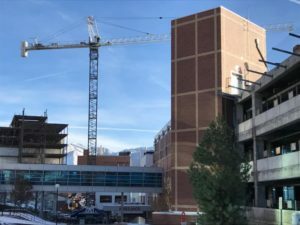 The tower crane at the University of Utah Hospital Infill Project has been installed and excavation is under way! This incredible machinery makes possible a project quite surgical in nature in more ways than one. 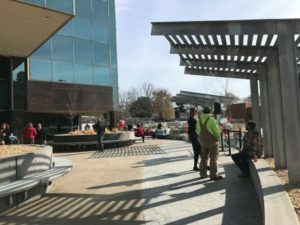 The new University of Utah Business Services Building Plaza Upgrade is complete and we had a great time at the grand opening event. What was originally intended to be mainly a waterproofing upgrade of the parking structure evolved into a complete overhaul of the plaza as well, transforming the surroundings into a welcoming weekday oasis. 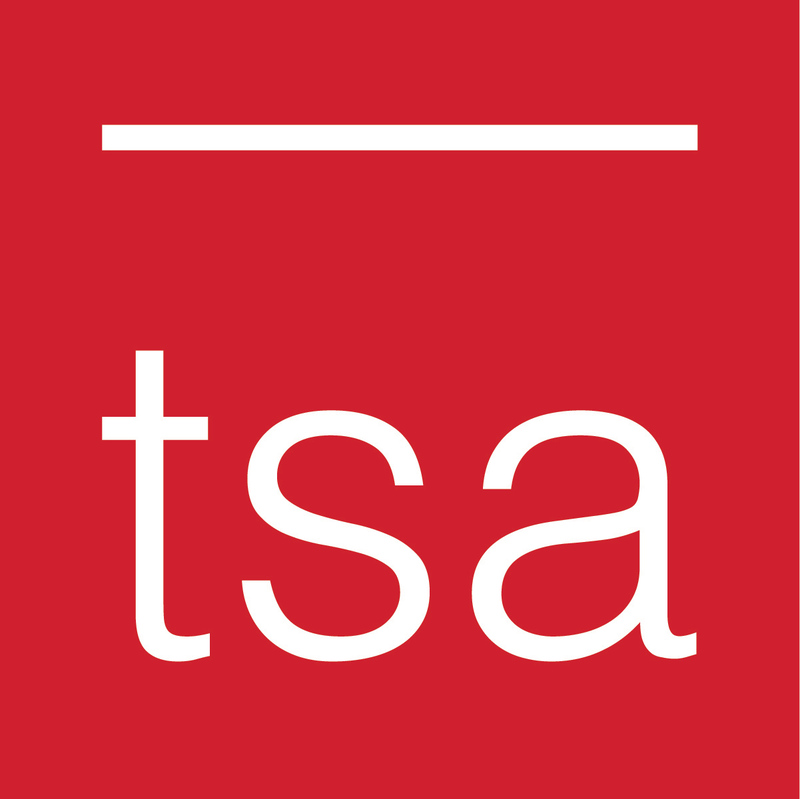 How Pre- and Post-Occupancy Evaluations spur evolution in architecture. Although not in written word, there’s a defined, compelling story behind every single building.